Visually, the game is pretty plain. The main area is an empty room with four people in each corner. Flashbacks proved a bit more visually stimulating thanks to the lighting and some more mapping, but what was there was at most decent. The use of lighting in order to showcase the different characters of the game and their version of things was a great idea. I would have liked to have seen use of coloured text as well, to match up with the lighting, though. Writing was good. There wasn't much in the way of errors, though the lack of real lead-in to the whole game was a bit disconcerting. You didn't get to see much of the characters before it started and you were told straight out their 'characteristics' instead of allowing them to be shown. I also wasn't a fan of how the main character made judgement on each person, as it seemed very narrow minded when they were trying to sound 'deep'. It made me really not like the main character. Add to that the fact that you built a main character but then made them change their characterisation in some of the ending choices, so much so that they felt decidedly like a completely different person. You'd built the character to seem very bloodthirsty and they talked a lot about how they were looking forward to killing everyone, but then there were parts where they completely changed their tune. You really should have gone all out. Honestly, the characters were the main let down (well, and the story, but I'll get to that). This wouldn't be such a big problem if the game had more to it, but being a game where the characters and story are The Point, well...it fell flat. The story itself was presented as a 'solve the mystery' type deal, but really there wasn't a choice for us to make beyond choosing who to blame - and the choices and reasoning for that was a bit silly, I thought. I ended up blaming no-one because I didn't like the high-horse the main character was on. 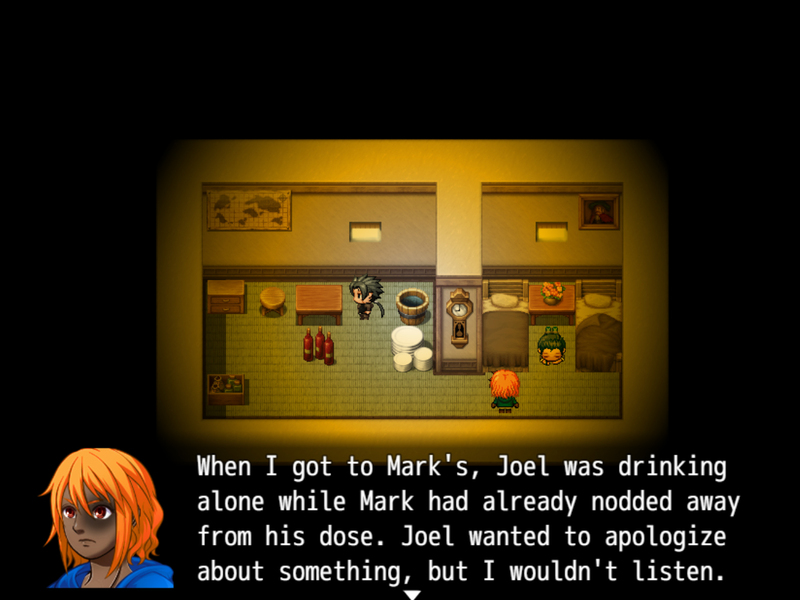 The last sentence about being aware of your own morality came off incredibly high-handed and the game as a whole felt like someone wanted to create something that led you to think about a message but it was too shoved down the throat. Sound was there. What music was used didn't get annoying but also didn't change much, which made sense since it was all in the same area. Sound effects... I can't recall hearing many, if any at all. Gameplay was pretty minimal. You walked around and interacted with the different characters a few times in order to pump them for information, then went through a few multiple choice questions in order to figure out the truth behind the murder, before ultimately assigning blame. What was there worked, there were no bugs that I could find. The lead in to the story didn't help me build any kind of connection to any of the characters, and the mystery itself wasn't very interesting, I found. The answer being given to you if you collected all the information and not being allowed to guess about it after that, made it a lot less engaging as you were handed the answer (the one thing that was of interest). I honestly couldn't connect to the characters, their imminent demise or the main character (who came off as some sort of narcissistic batshit crazy evil avenger type trope). This made the game a lot less engaging than it could have been if some time had been put into making the characters sympathetic or likeable. Granted, I believe part of the idea behind the game was to make them non-likeable, but that choice ended up shooting the game in the foot. The lack of an introduction to the characters or the story really didn't help, either. We were also told straight out that they were all worthless people, and I didn't agree with that based on some of the things that were said. I can't say I liked, enjoyed or was interested in the game, especially when a game like this practically depends on the writing and characters in order to carry it. You need to cheer for someone in this kind of game, to have a side to try and aim for, but in this case there was none. I ended the game with the feeling of "Oh... well, that happened I guess." I have to say that the way the game was visually set out also added to the bland feeling of the game. Add to that the lack of any interesting gameplay and it just felt like I'd watched a very boring murder mystery where you were shown who did it at the start and had to suffer through an incompetent inspector bumble the most striking evidence in order to get through it. And that ending, if you chose that it was no-one's fault. You've set the main character up to be crazy and wanting blood but ends up just apologising. Pull a SAW and have them kill everyone even if they were in the wrong - that would have fit the character that you'd built over the conversations much more than "Oh, yeah, my bad you can go now"
Another thing that could have helped with this game is amping up the gameplay a bit. Even if there was something like physical evidence that you could look through and try to determine if it fit in the story or not, or presenting evidence with Key Items to refute the characters' lies to try and get the truth out... Something like that would have been a lot more engaging than multiple choice questions. The game was set up to be a 'sort out the mystery', as well as a 'moral high ground' via choices. I guess it did what it set out to do, but it did so in a way that didn't really work. The game tried to make it seem like you'd be choosing the killer but in the end it was taken out of your hands, removing what felt like the real aim of the game from the player. Just me, and 5 long day and nights without sleep. I've only played through once so far but I really enjoyed getting through it! The story was very engaging and fun to play. 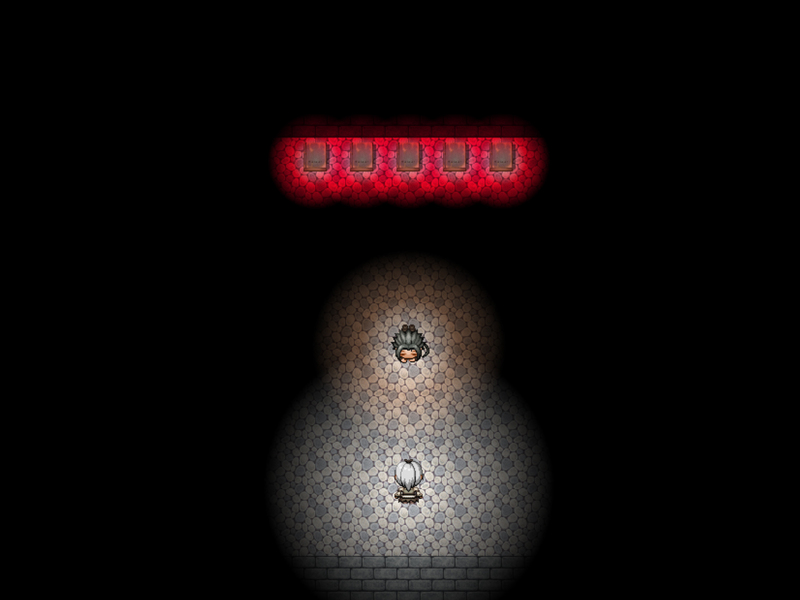 I really loved your use of lighting to separate the characters and reveal hidden things. The music really wasn't so bad, I liked where it was going and when it changed depending on what was being said. Thank you so much for the kind words! The music still haunts me to this day, but I guess we can both relate with overestimating our time. I would have loved to add sound effects for varying sequences, and a soundtrack that better fit the mood, but oh well. 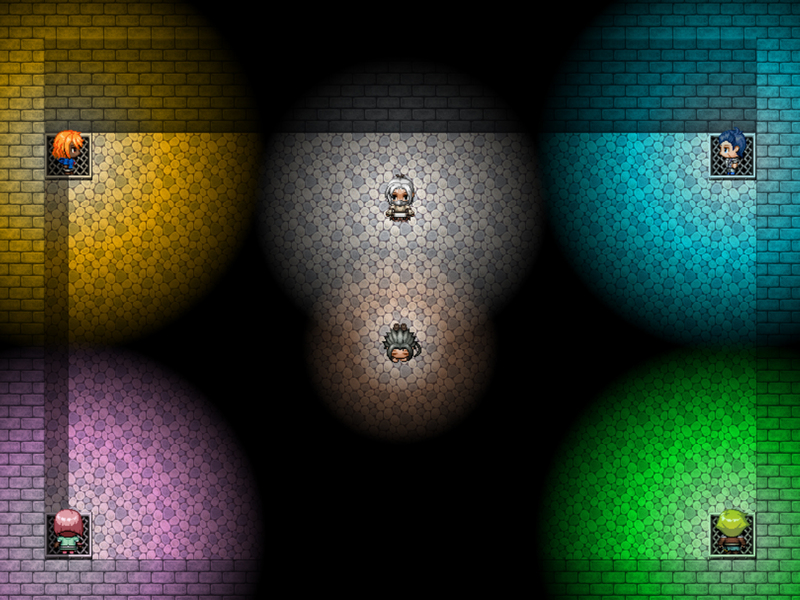 Although the lighting was such a fun thing to add in for aesthetic purposes, I quickly realized that they could be used for reveals, direction, and signalling events. I still feel like I could have done more with the camera though than just flashbacks and slight dialogue focuses. BTW, I recommend players just mute the game and play a dark soundtrack of their choice in the background. I made the music very last minute and accidentally fell asleep the deadline before I could change things up. I really liked this mystery. From just being dropped right in and having to figure out the basics and then all the way through each step; it stayed interesting throughout. And it all made sense if you were paying attention which is always a plus! Thumbs up. I liked the ability to ultimately make the choice yourself at the end too. I went with Joel himself. Thank you! Most of the time was actually spent writing the story rather than the game. I sketched out a timeline and had to write motives for each character. It was even more difficult considering I had to write two motives (one for the lie, and one for the truth) for every action.